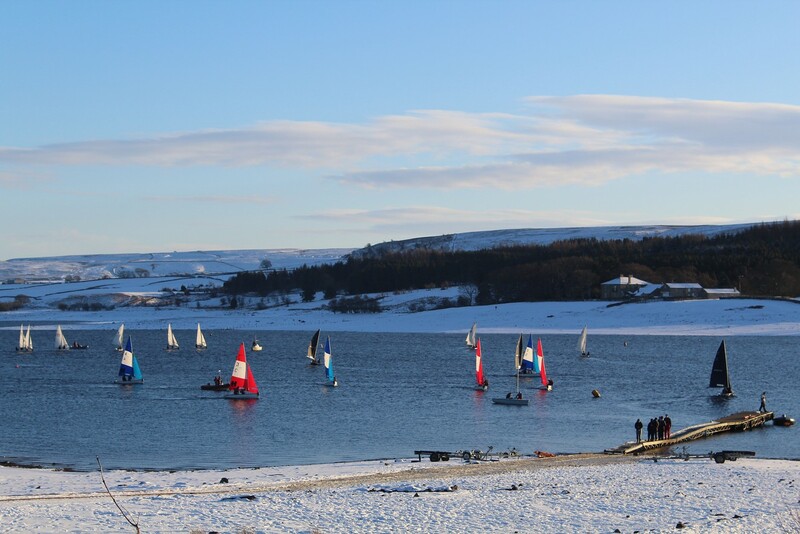 A sparkling snow scene welcomed Northern Universities for their team racing qualifier. Hoping for a place in the National finals. The weather forecast had not put them off and a gentle breeze presented perfect conditions for the closely battled races. The top 4 teams will go through but on 2/3March, universities from throughout the UK will be coming back to DRSC for the playoffs. It is well worth coming down to watch high quality team racing in action. We wish our home teams Durham and Newcastle Universities good luck in gaining a place at the finals.